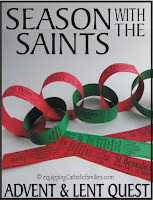 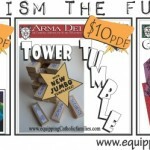 This kit includes Season with the Saints, Year of Faith and Advent & Lent Classics Challenges. 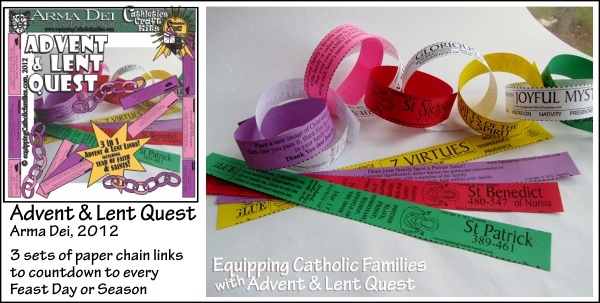 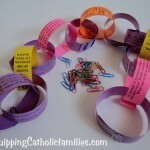 There are now THREE different themed paper chain links included in ONE kit! 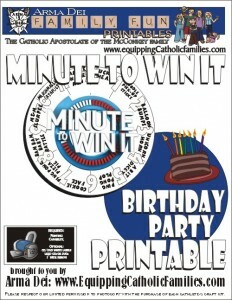 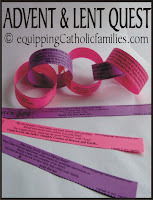 Perfect for counting down to ANY Feast Day or throughout any Season, especially Advent and Lent! 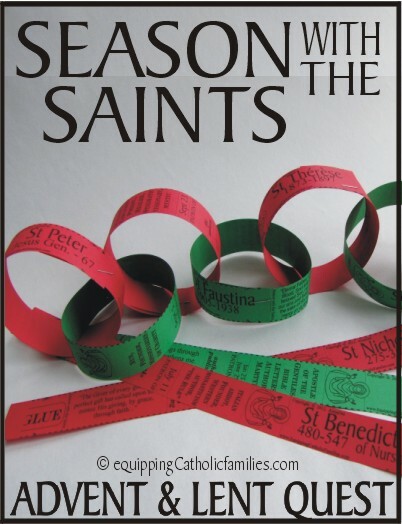 Season with the Saints includes 48 + a do-it-yourself template for you to add any of your family patron saints if we didn’t already include them! 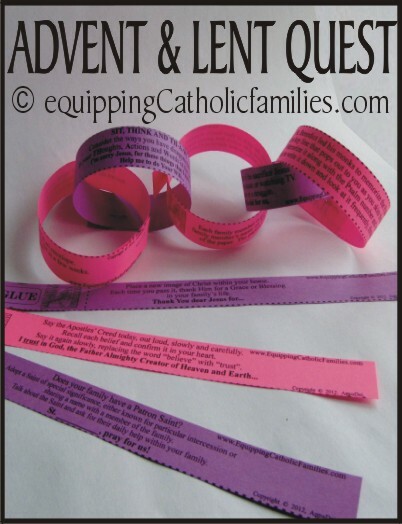 Each link is packed with information about the saint…years of life, patronage, feast day, vocation highlights and a special quote or prayer. 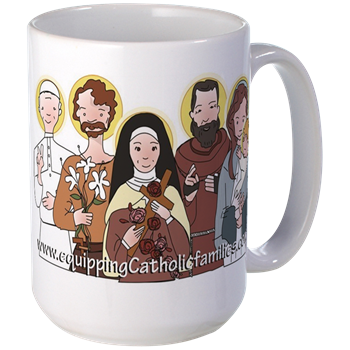 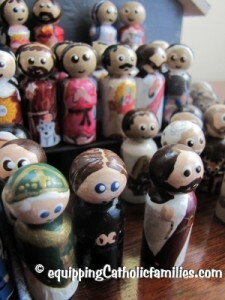 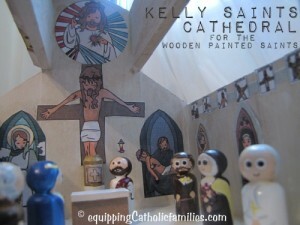 Saints include St Therese, St Pio, St Anthony, St Jude, Bl John Paul, St Nicholas, St Benedict, St Peter + 40 more! 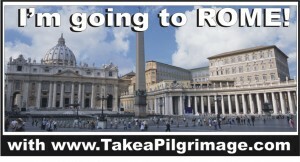 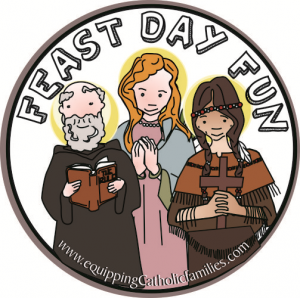 Imagine if your family learned specific details about a new saint every day for 48 days! 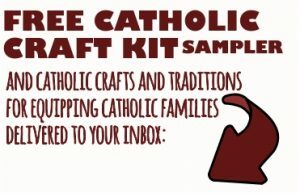 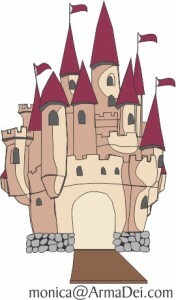 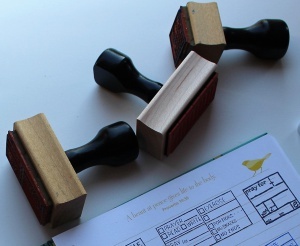 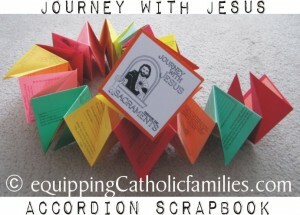 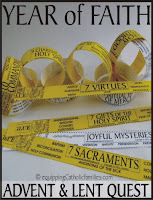 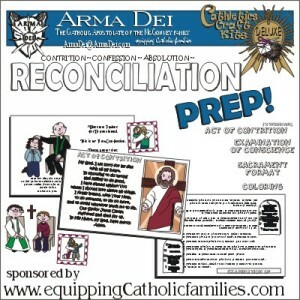 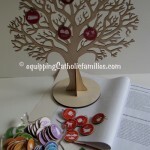 Year of Faith includes 48 + a do-it-yourself template for extra Catechism. 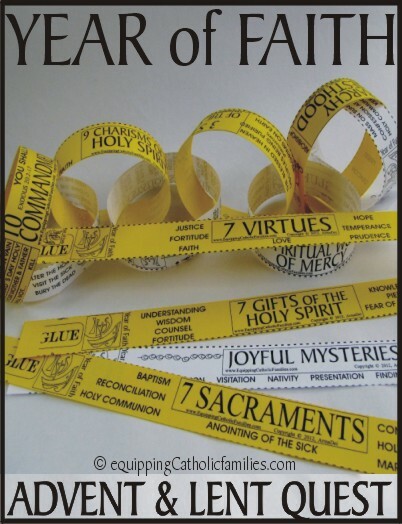 Catechism facts include 7 Virtues, 7 Gifts of the Holy Spirit, 7 Sacraments, 4 Marks of the Church….and less commonly remembered…4 Fruits of Holy Communion, 4 Characteristics of the Church, 3 Graces of Marriage, 9 Mysteries of Faith + 40 more! 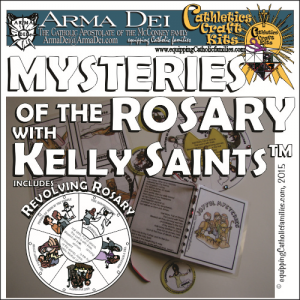 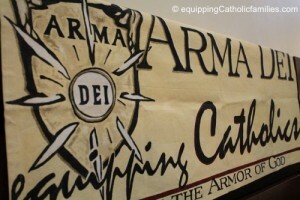 These links include the Catechism or Bible reference wherever possible for more information! 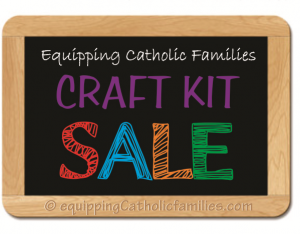 Imagine if your family learned a new Catechism teaching…every day for up to 48 days! 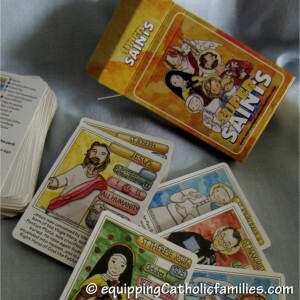 The activity is easily geared to various age groups…choosing as much or as little to read or memorize each day. 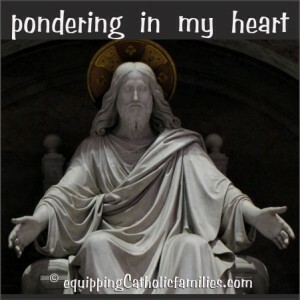 “Read the Gospel and/or the readings for the next Sunday’s Mass.